According to national records, fires are the cause of more than 7,000 injuries in the U.S. every year. Though the majority of reported burn injuries are mostly minor, a portion of them will be serious. While smoking and cooking are the top two causes of residential home fires, people are seriously injured and killed by car fires, clothes dryer fires, electrical fires, scalding by hot liquids, chemical burns, and more. Those who have been burned as a result of reckless actions by others can become burdedned with long lasting pain and suffering. 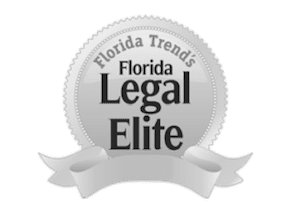 As attorneys, we can help victims of burn injuries, in these types of situations, to navigate the complexities of the law and recover compensation for the discomfort and trauma they have been forced to experience. Burn injuries are extremely painful and often disfiguring. A victim may have scars that last a lifetime, even after multiple skin grafting surgeries. That leaves you asking, who will pay the medical bills? How will you support yourself if you are too injured to work? Will you ever be able to return to your old life? Devastating psychological damage can result because your looks are damaged for life. The personal injury attorneys of The Umansky Law Firm give you the information you want and the help you need during this challenging time. If your burns were caused by carelessness or negligence, we will file an injury lawsuit and aggressively pursue full and fair monetary compensation for the pain you have suffered. Call us today at (407) 228-3838 for a Free Consultation, or chat with us live 24/7 on our website.